Commercial garage doors play a key role in ensuring the safety of the materials housed in your warehouse while allowing easy movement of products and equipment. A properly functioning commercial garage door means ease of access to the things that make your business work smoothly. To make sure there is smooth functioning of warehousing related tasks, commercial garage doors must be prepared to withstand seasonal changes such as rain and moisture throughout the year. Although commercial garage doors are prone to malfunctions due to improper use or lack of maintenance, following certain maintenance tips can help enhance the lifespan of the door and ensure seamless performance. Let’s take a look. Although metal garage doors can last for years with proper maintenance; in the absence of it, metal is prone to rusting that can not only ruin the appearance of your door but also affect its performance and lifespan. If you have a steel garage door, it is important to spot the signs of rust and address them immediately to avoid bigger problems. In such cases, it is advisable to hire a garage repair professional to clean the rust and apply a high-quality wax on the inner and outer surfaces of the door. Regular inspection of the insulation is essential to maintain the energy-efficiency of a garage door. Non-insulated garage doors result in loss of energy, which leads to higher energy bills when you regulate indoor temperature. If energy efficiency is a major concern for your business, upgrading to an insulated door is a good idea. Insulated garage doors are constructed differently than single layer garage doors, which makes them more energy efficient. Water leaking under the commercial garage roller door is a common problem that can damage your garage and the material housed in your warehouse. That is why it is essential to check weather seals of your garage door, especially during monsoon. If water is leaking, replace the bottom rubber seal on the metal commercial garage door. It will help you restore the water resistance property of a garage door and help you to prevent the interior of your garage from water damage. Investing in the maintenance of your commercial garage door is essential to optimize its lifespan. If you are unable to inspect the issues in your commercial roller door for repairs, contact Overhead Garage Door LLC. Our skilled service professionals are equipped to fix all kinds of commercial garage door repair issues. 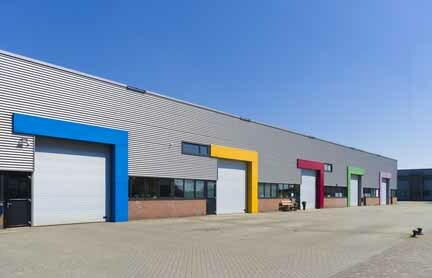 We also provide 24 hour commercial garage door installation and maintenance services for commercial rolling steel doors. To schedule a service call, fill out our contact form or simply call (800) 471-4505.